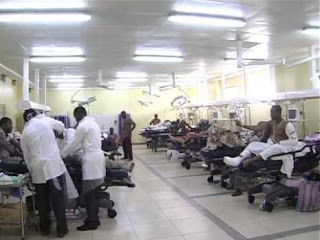 Emmanuel Ezunu, Head, Clinical Services and Training, Federal Medical Centre (FMC), Asaba, has confirmed the death of a housewife who died 15 hours after she was delivered of a set of quintuplet, the News Agency of Nigeria, NAN reports. NAN gathered that late Mrs Onyejekwe was delivered of a set of five female babies. “However, the five babies are currently under intensive care at the hospital and I can inform you that they are doing fine,“ he said.